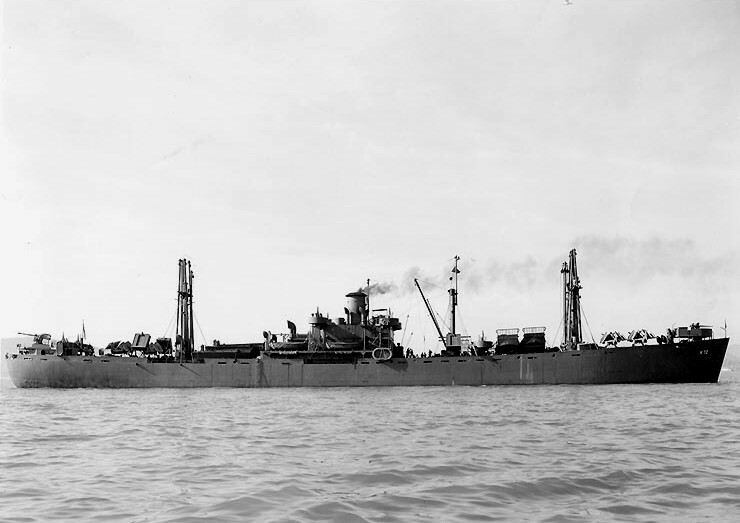 Laid down, 2 October 1942, as, SS Robert T. Lincoln, a Maritime Commission type (EC2-S-C1) hull, under Maritime Commission contract (MCE hull 437), at Permanente Metals Corp., Richmond, CA. 61k USS Aludra (AK-72) under way, circa late 1942 or early 1943. Note her deck cargo of four Grumman F4F "Wildcat" fighters and several landing craft.